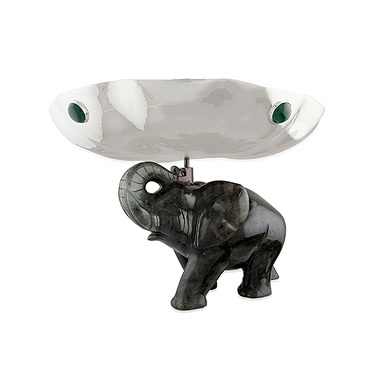 Saffronart recently concluded its Exhibition of Contemporary & Period Silverware in Delhi. Some pieces are still available for purchase on the website. Mumbai: In recent Dhanteras festivals, the most popular precious metal amongst consumers is not gold, but silver. Dhanteras is the first day of the Diwali celebrations on which buying precious metals is seen as an auspicious sign of wealth. P.S. Singhvi, a 50 year old businessman stood in line with more than a hundred people waiting to buy silver coins at Mumbai’s busy Zaveri Bazaar. He told The Financial Express, “We are interested in silver coins for mahurat (auspicious) trading. We can buy more silver for a lesser amount. For gold we will have to pay a high amount.” It seems that the potential value of silver is no longer a secret in India but has caught on with the rest of the world. 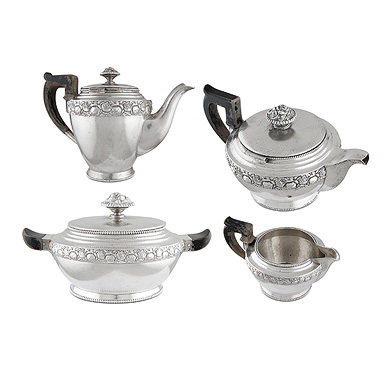 For three consecutive years, the demand for Indian silver continues to grow worldwide. This is due to skyrocketing gold prices, and the slowdown of manufacturing. 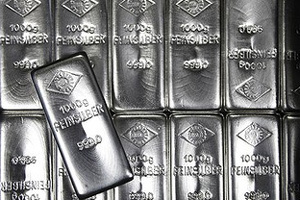 Rajiv Jain, chairman of the Gems and Jewellery Export Promotion Council (GJEPC), estimated that the export for Indian silver will increase by 35% in the 2013 fiscal year. Small-sized silver bars and coins dominated festival sales in India. Already in 2011, an article from Bloomsburg News championed silver as the “common man’s gold.” Ketan Shroff, managing director of Pushpak Bullions Pvt. stated, “People are accumulating silver since gold is getting unaffordable to the common man.” Consequently, the common man’s demand has a strong reflection on the world market. From 2011-12, silver exported from India increased to 44% while gold exports remained at 30%. There are a lot of investments to be made in silver as an average overseas consumer can purchase quality silver pieces for less than $100 (Rs. 5,200). In response, the import of silver to India has also increased as a response to demand. Prithviraj Kothari, president of the Bombay Bullion Association, stated in The Wall Street Journal last February that “India’s silver imports may top 5,000 metric tons in 2012 due to strong investment demand” compared to the 4,800 metric tons in 2011. Shroff enthusiastically stated in India Times, “The trend is fast picking up. Investors and jewellery lovers prefer more of silver jewellery as gold prices go up consistently. If the positive sentiments can keep up the pace, silver prices may go over Rs 1 lakh, beating last year’s Rs 75,000 levels.” With such prospects, silver may no longer be the common man’s gold but a precious metal just as valuable if not more. Wow so excitement. it is good for Indian jewellery market. True saying raj its please to watch these all jewellery collection.